This Kids Plastic Rocking chair Specially Designed for your Kids. Your Kids Never Fall From This Rocking Chair. 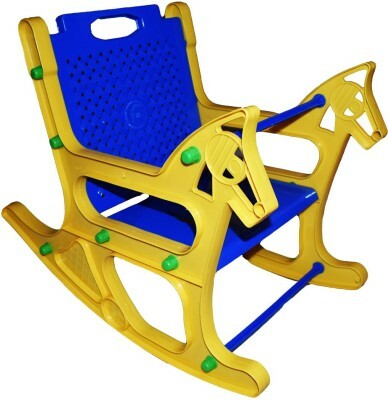 If you remember your childhood then think about a wooden rocking horse, it just like that but difference is that the chair design for safety of falling. You must buy for your kid.Note : This chair only for 12 to 60 months age group kids. Please check the size of product mention in photograph.